This week we are starting a series of sermons attempting to answer the question above, do we really know what we believe. Our topics will be God, Jesus, the Holy Spirit, The Bible, etc. our goal is to help us as Christ followers to defend our faith and to have confidence in what we believe. When we look at studying God, several questions come to mind. Questions like does God exist? If He does exist, does He try to talk to us or reveal Himself? Also, what is God like? 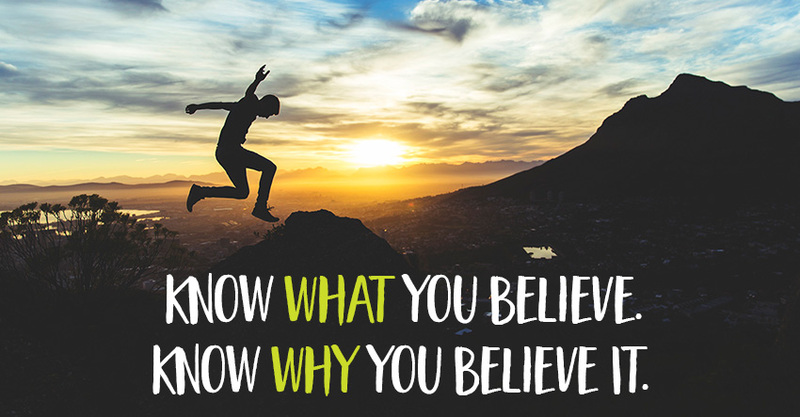 Let's answer those questions to give us insight on what we believe. We can answer the question of God's existence in a couple of ways. First is the naturalistic arguments and then the Biblical arguments. The second naturalistic argument is the Teleological Argument. This is referred to as Design theory. Because of the precision the world seems to have. Telos is the Greek word for purpose and hints that God had a purpose for the earth. That purpose is a home for His creation, man. Our planet is unique from any other planet. Just one way to show the design behind it is the location of the earth from the sun. We are at the exact point to sustain life. Any closer to the sun and we would burn up. Any further and we freeze to death. Please read the following article by Marilyn Adamson if you would like more information on this argument. The third argument is what we call the Moral argument. C.S. Lewis spent many years as a hard-core atheist before becoming a devout Christian. He grew up seeing the aftermath of two world wars – an era filled with cruelty and unjustness – making it easy for him to believe God didn't exist. “But then he had a disturbing thought: Where had he gotten the concepts of “cruel” and “unjust”? How did he know a person (or action) was cruel unless he had a loving person (or loving action) to compare it to? In other words, he had to know what a “straight” line looked like to be able to label another line “crooked.”” (David R. Smith, Christianity...It's Like This) For there to be a reality of good and evil in the world, one had to create a moral code so if there is moral law there must a moral law giver - God. If you believe in God, you might want to know what He is like. if I was going to tell you about a person that I know I would talk about that person's attributes. He or she is a loving, caring, and honest person, for example. Now let me share what the Bible tells us about God. In order for us to do this, we need to divide God's attributes into two categories. 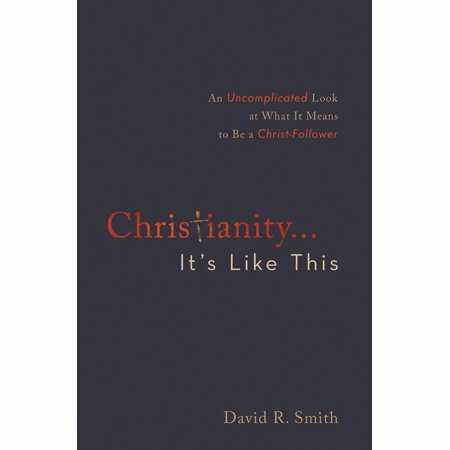 There are some ways that we reflect God and other ways in which He is unique. Let's first address what the Bible tells us about how God is unique. God is omniscient – This means that God knows everything. This includes things that happened and things that could have happened. The kind of knowledge is in God's nature. In other words God did not have to go to college or school to learn anything, He just knows it. It can be scary for us because there is nothing that is hidden from Him. God knows all the tragedy's that are going to happen and all the good things that will happen. God is omnipresent – This means that God is everywhere present. That concept is difficult to grasp but it does not mean He is in everything. In other words He is this room present but He is not in the pews. Pantheism teaches God is in everything like the trees, plants, etc. This is a false teaching. Psalm 139 gives us a vivid picture of God's omnipresence and His omniscience. God is omnipotent – Fifty six times, according to Dr. Ryrie, the Bible says God is the Mighty One. Genesis 1:1 gives us a picture of God's power. He speaks and things happen. Now, we'll talk abut the ways in which we reflect God. God is just, god is love, and God is holy, etc. Even though we cannot be perfectly just, loving, and holy like God, we can display these attributes in our life like God. The Bible tells us about the attributes of God's uniqueness as well as those that we share with Him. Hopefully these will give you somethings to think about and study further. Let me recommend a couple of books to you. 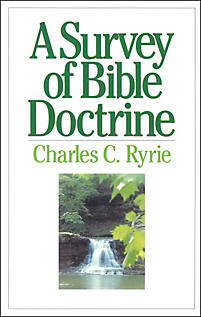 Dr. Charles Ryrie's book A Survey of Bible Doctrine and David R. Smith's book Christianity...It's Like This. Both of these books were used in the creation of this blog.